Another day, another example of the “natural evolution” of design just happening to, quite coincidentally and certainly without any conscious effort, trending toward, uh, well, looking exactly like whatever Apple made. Writing for The Verge, Vlad Savov takes a first look at Huawei’s FreeBuds. That’s about all he can say at this point as Huawei hasn’t let anyone listen to anything with them yet. FreeBuds. Neither free nor associated with adorable and precocious basketball-playing golden retrievers. They do at least also come in black, unlike AirPods, which is an improvement. However, just like those toys that have the name of the show written on them, FreeBuds have “HUAWEI” written down the stem. And people mock people who carrying around Apple kit for sucking up the company’s insidious branding. The Verge still believes the FreeBud look “good”, somehow. 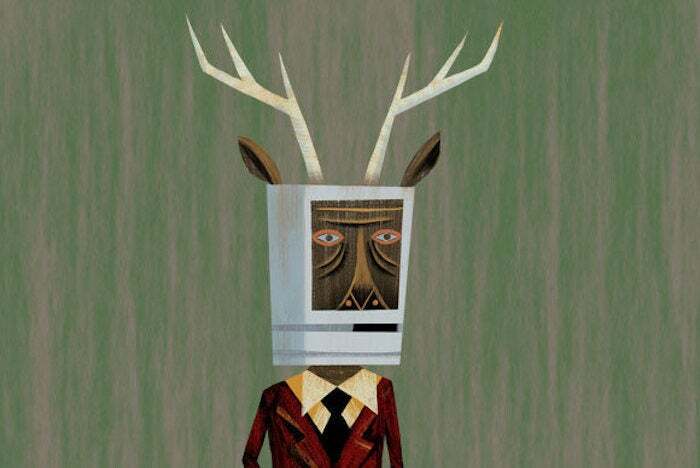 Personally, the Macalope doesn’t even think AirPods look very good, even though they’re an amazing product, and stamping them with a brand name would not increase their appeal. Credit to Savov for being able to admit he was wrong. That is what good writers do, because we all make mistakes. You couldn’t really blame it if it got a technical foul for showboating after a dunk like that. The Macalope would be breakdancing all over the court. It’s a shame that Apple used the term “courage” when it talked about removing the headphone jack, because the correct term for what it does is more like “leadership.” Whether Android OEMS are directly copying Apple or not, Apple is the company that makes the room for these designs, it legitimizes them. And it does so from a minority position in the market. If you’re waiting for that to change, looks like 2018 is not your year.